Ustyanovych Nicholas L. (25 Nov (7 Dec) 1811 – 22 Oct(3 Nov) 1885) – Ukrainian writer and public figure. Born in town (now – the regional center of the Lviv region). Studied in Lviv – in elementary school (1820 – 1824), High School (1824 1830), Lviv University (1830 – 1832, 1838). After graduating the Greek Catholic Seminary (1838) was a priest in the village (1838 – 1841), the town (1841 – 1870), then – in Suceava (now in Romania, 1870 – 1885), where he died. In his youth fond of Polish patriotic idea (1829 – 1830) and almost joined the ranks of the rebels. From 1835 entered the Ukrainian group M.Shashkevych, began to write and print (1836) Ukrainian poetry, for which he sought on suspicion of the police. Police surveillance lasted until the revolution in 1848, during which Ustyanovych was one of the initiators of the "Council of Ukrainian scientists" that worked in Lviv in October 1848. At the council he defended the unity of all Ukrainian lands and the development of literature in the people's language. At the same time (1848 – 1849) were written his best prose and poetry. In 1860 in Lviv was published a collection of his works (Poetry Nicholas Ustyyanovych. The first part). 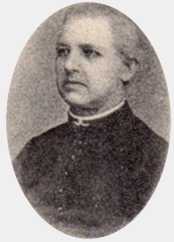 In 1861 – 1866 he was the deputy of the Galician Sejm (Regional Council) of district Stryi-Skole. From this time he stopped writing in Ukrainian and moved to the Russian slang. In 1868 Ustyanovych was one of the co-founders of the society "Enlightenment" in Lviv. Ivan Franko (obituary). – Dawn, 1885, № 21, p. 251 – 252; Collected works in 50 volumes, K., 1980, vol. 26, p. 380 – 383. M. Zh., Jan 19, 2016.